The campaign Ocean's wings, 1 is a Sea Shepherd advert, born from the union between Universitat Autònoma de Barcelona (based at Badia del Vallès, Spain) and Sea Shepherd Conservation Society (SSCS) in 2014. This campaign is known in the marketing & communication market for Print, Commercials Archive, Sea Shepherd Adverts, Charities, Foundations, Volunteers, Public interest. 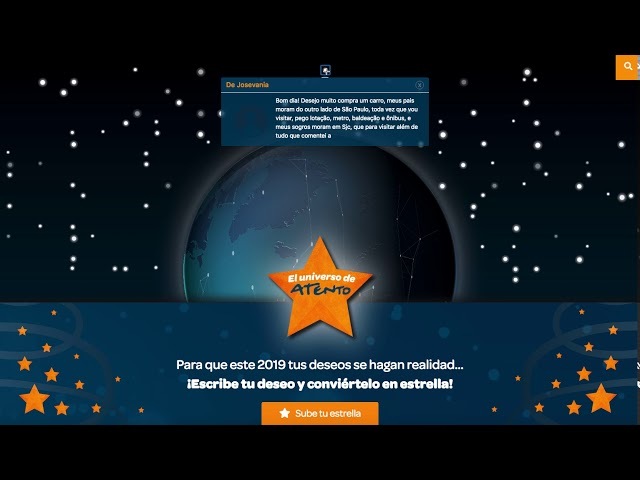 Diseño de una landing page de felicitación de navidad para la empresa Atento. Universitat Ramon Llull, based at Barcelona, Spain has been asked to develop Giving Futures, 2 for their brand Pencils of PromiseProduct: Pencils of Promise in 2013. This customer case is known in the marketing & communication market for Public awareness, Print, Commercials Archive, Pencils of Promise Adverts. Soon In Tokyo, based at Barcelona, Spain has been asked to develop Tree Rain Wear, 5 for their brand NPO Echigo-Tsumari Satoyama Collaborative OrganizationProduct: NPO Echigo-Tsumari Satoyama Collaborative Organization in 2013. This campaign is known in the marketing & communication market for Commercials Archive, Design, Branding, Corporate Image, NPO Echigo-Tsumari Satoyama Collaborative Organization Adverts. Del Campo Saatchi & Saatchi, based at Madrid, Spain has been asked to develop Cookies for their brand Hospital AlemanProduct: HOSPITAL ALEMÁN in 2009. This campaign is known in the marketing & communication market for Commercials Archive, Outdoor, Hospitals, Healthcare facilities, Hospital Aleman Adverts, Medical Services, Photo Development.